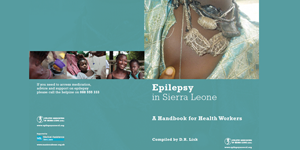 Provide support to current activities on Awareness Raising by positioning epilepsy support workers in all the 13 project areas with honorarium to Seventeen Staffs involved in these activities and provide materials for Awareness raising campaigns. Support the training Institute. Provide stipend for training instructors and the rental cost of EASL Office space. Provide technical assistance and support to enhance outreach clinics in Government owned Health facilities in the entire country. The epilepsy Association network with the staff of St. Joseph in Bombali and Moyamba District to collect data with regards epilepsy and treat patients in their clinics.